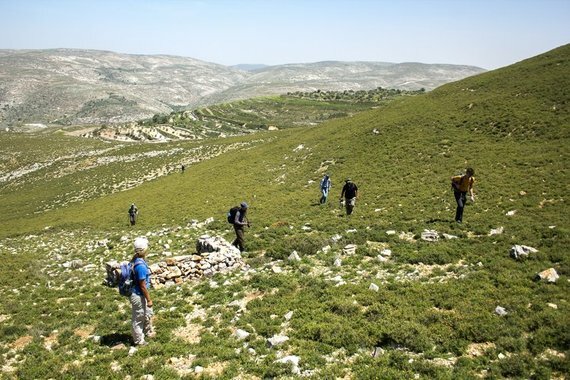 There are few places in the world where a good walk can be as stimulating to body and soul as the Palestinian West Bank. That may be a surprise to many, but six years after I took up hiking its valleys and hillsides, these high rewards remain. Here, perhaps like nowhere else, a physical escape up into the hills is also a mental climb down the ladders of prejudice — about what this part of the world is and what it can be. 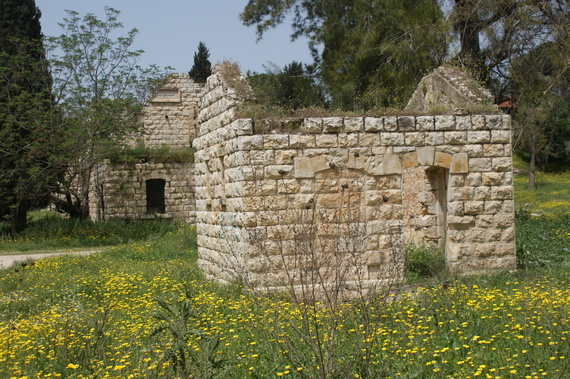 We wake up in the pretty town of Sebastia and walk towards the village of Arabe on a new section of the Masar Ibrahim, as the Abraham Path is called in the West Bank. Both places are living testaments to the layers and tides of empire that have moved forth and back for over 3,000 years. Their remnants are immense Roman walls, Greek defense towers, and a Herodian palace. And then there is the Hejaz railway that once connected Damascus to Medina with branches to Haifa and Nablus. One of the largest infrastructural works of its time, it collapsed in 1917 just prior to completion. And along with it went another empire. Today, with its tracks long gone, it is a walking trail that snails around the hills of the northern West Bank. Our walk in between these places passes through silver-green olive orchards, mixed every so often by almond, apricot and fig trees. Mysterious holy shrines dot the hilltops we pass on our walk — the places where for centuries holy men were revered by people of different faiths seeking cures for their ailments, forgiveness or council. After climbing for a good two hours we reach such a shrine, that of a Sheikh called Bayzeed. 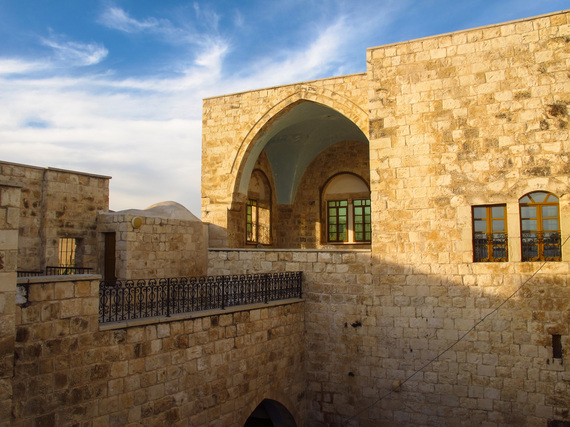 Our guide Mohammed tells the story of the renowned Palestinian physician who wrote about the “superstitious” beliefs of his patients and their stubborn refusal to take modern medicine for simple ailments. His resolution was not just to provide pills, but to also send his patients on a walk up to these scared shrines. There, his patients were to ask for a blessing over these pills prior to taking them. Only through a fusion of modern medicine and traditional beliefs did the people oblige. Arriving in Arabe at the end of the day we stay with a local family. The parents speak little English but proudly gaze as their five children engage the strange bunch of American, French, Canadian, British and Dutch guests who will sleep in their home that night. The conversation meanders between their family history, world cup football and the popularity of the local Arab American University where the eldest daughter, Zeina, has learned near perfect English. A Harry Potter book lies on the shelve. I ask her 15-year-old brother, Adham, what he likes to read. “Shakespeare and Marlow”, he says. I think I’m dreaming. A thought crosses my mind: “I used to read that in high school…” Close behind lurks another thought: “They read it too?” Adham explains how he deals with the curiosities of 16th century English poetry: He translates it online. Other than that, foreign visitors to Arabe provide for good conversation practice. After our group of hungry walkers takes in a feast of a home-cooked meal, Zeina uploads pictures of our group to Facebook. She befriends, tags and shares. Within moments, the Abraham Path family I stayed with last October in Kisas, Turkey, is connected to the hospitality in Arabe, Palestine. Exactly a hundred years ago these villages were part of the same grand empire, with a grand railway project about to spark a travel revolution. Almost. Now four impassable borders separate them. They speak different languages. And yet they are connected. Arab Spring and Winter. Muslims fighting Muslims. The fate of dwindling Christian communities. Occupation. Big themes in the Middle East; sad stories that incessantly cross the world in nano-seconds. They are real stories. But so is Adham’s world of Harry Potter and Marlowe. And his ability to reach out to that world and that world to him. In nano-seconds or through a day’s walk across the West Bank. 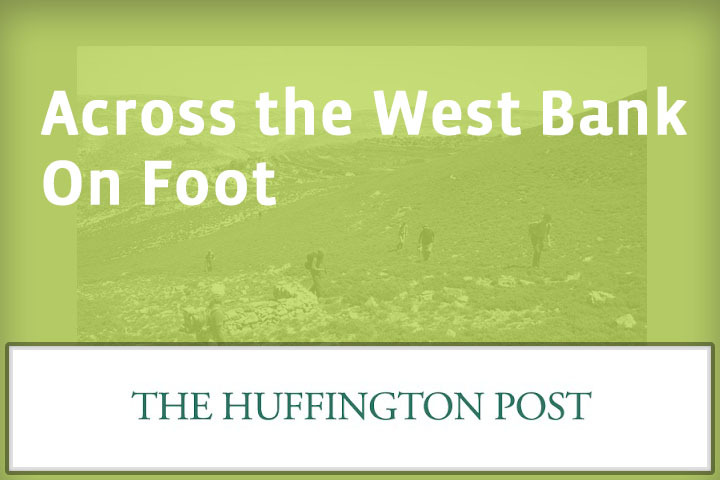 No Replies to "Across the West Bank on Foot"